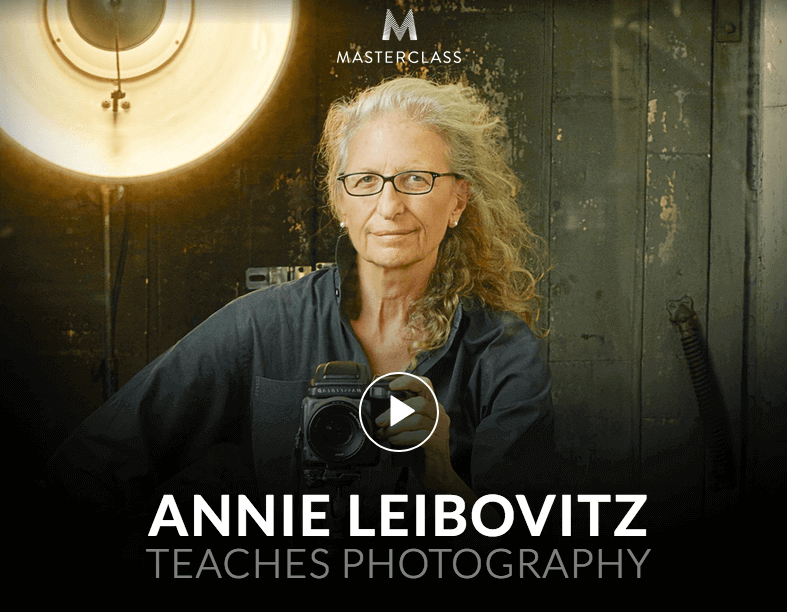 Annie shares how she approaches working with a subject for a photo shoot, including refuting the popular notion that it’s a photographer’s responsibility to put a subject at ease. Enjoy a behind-the-scenes look at Annie’s photoshoot for Vogue magazine, where she captures the cast of Angels in America. Watch her and her team set up the photoshoot, effect her concept, and show the way she works with her subjects. In this chapter, Annie shares how she approached transitioning from film to digital, and what starting out in the dark room can teach you. Annie also shares her perspective on focus and sharpness—and how above all else it’s the content that matters. Annie gives you an exclusive look into her digital post-production process, and shares her thoughts about what it means to be a photographer and creative artist.